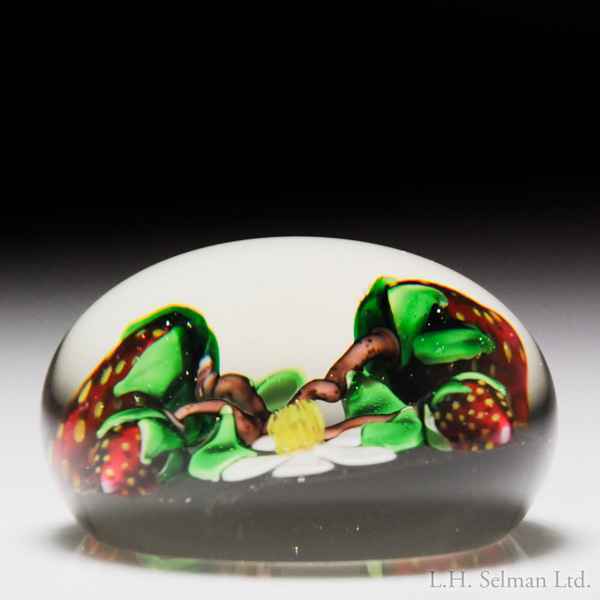 Ken Rosenfeld 1983 strawberries and blossom miniature paperweight. Four red strawberries ripen on stems, with a white blossom and green leaves, over clear ground. Signed/dated. Diameter 2 1/4".